I have tried many ways of inserting my affiliate links into Facebook posts, Google AdWords ads, Bing, YouTube descriptions etc. Many use services like bit.ly. however they are now recognised and scanned by Facebook and Google, and they will ban your link or your campaign will be disapproved if they can work out if there’s an affiliate link behind them. That’s why you need a link cloaker, it’s a must have tool for any serious affliate marketer to have in his armoury. I have used Pretty Link in the past, and it’s the best free cloaker imho. 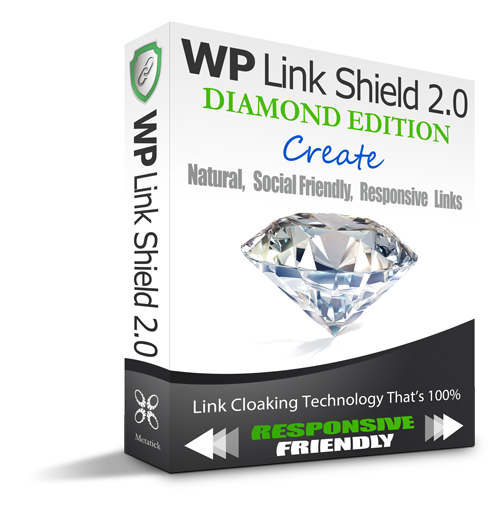 However, now I have come across a cloaker that’s even better, because it let’s you cloak really as if the affiliate link is part of your website, it doesn’t break the mobile responsiveness of the link and it is not noticed by Facebook (ads) and AdWords, meaning you can now finally post affiliate links safely with WP LinkShield. I said enough really, I have switched to WP LinkShield and I am very satisfied. It’s not a free cloaker but it is a one time payment (it’s a WordPress plugin) and you get a ton of bonuses too. All the links on this site are made with the tool.